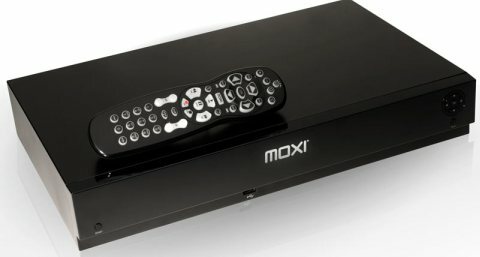 The provider of premium home entertainment products including digital video recorders (DVR), Digeo, Inc. has announced new features and improvements to its flagship Moxi HD DVR, which includes PlayOn Internet video, Rhapsody digital music service, eControls feature for managing home entertainment environment, as well as enhanced photos, Internet services and DLNA-certified home networking, aiming to enhance your Moxi entertainment experience. PlayOn: This media server software currently provides access to Internet videos from YouTube, Hulu, CBS, Netflix, CNN, ESPN and more through the Moxi HD DVR from PC on home network. Video formats are automatically converted so Moxi users can watch Internet video directly on their widescreen HDTV. Rhapsody: The leading on-demand digital music service is now available through Moxi HD DVR, allowing users to easily listen to any 1 of more than 7 million songs from all the major record labels and hundreds of smaller independent labels. Rhapsody delivers complete control over the music experience, helping users to easily find and play full length tracks, build playlists of favorites or listen to Rhapsody’s professionally programmed genre & artist channels. Starting today, Rhapsody and Digeo are bringing music without limits to every user of Moxi HD DVR. Media Link: Certified to support the DLNA home networking standard, Media Link connects the TV or home entertainment system to PCs on a home network. Moxi users can easily stream digital movies, videos, music and photos from their PCs for viewing or listening from the comfort of their home entertainment environment. eControls: Moxi users can now manage their home entertainment environment through the Moxi menu to set the mood. Users can adjust most Z-Wave-certified products such as lighting (e.g., turning sets of lights on, off or dimming), control volume and power on AV devices, as well as monitor IP baby-cams or outside cameras, all from the remote control. Mosaic: A new browsing feature for the Flickr online photo service available through the Moxi menu, allowing users to rapidly scroll up, down and across their photos as they are displayed as mosaic tiles on the display. The owners of Moxi HD DVR will enjoy these new services through a free software update from Digeo.